In line with its CSR plans to raise awareness for local health-related issues and contribute to economic growth, Al Ahli Bank of Kuwait (ABK) recently sponsored a program titled ‘Building Parents Abilities in the Prevention of Drug Use and Negative Behavior’ initiated by The National Anti-Drug Media Project (Ghiras). 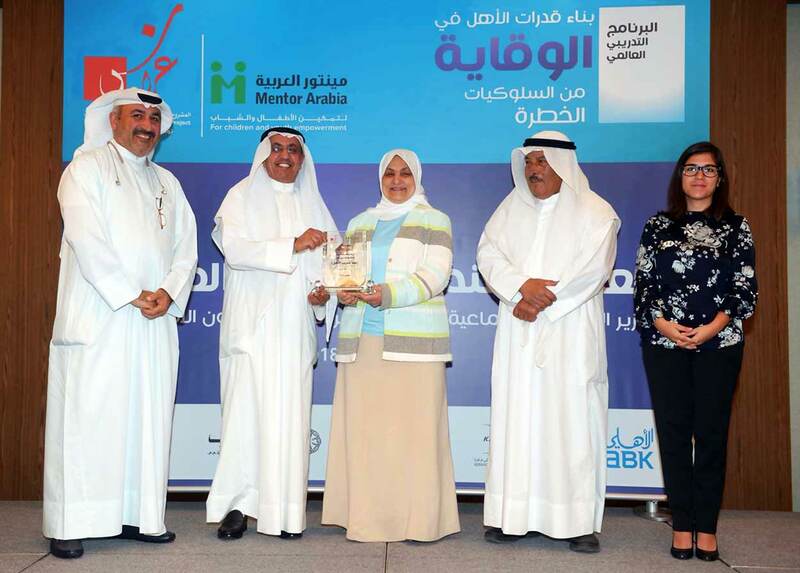 Held in collaboration with Mentor International and under the supervision of the Ministry of State for Youth Affairs, Ghiras honored ABK for its contribution at a ceremony that took place at the Radisson Blu Hotel in Kuwait last week. During the event, the Bank received a trophy from Dr. Ahmed Al Shatti General Manager of Ghiras and H.E Hind Al-Sabeeh, Minister of Social Affairs & Labor and Economic Affairs, which was collected by Mr. Fawzy Al Thunayan, General Manager - Board Affairs at ABK. The awareness program, which will run for 3 months, aims at educating families to prevent their children from using drugs and negative behavior, and acts as an educational platform by including training sessions and workshops to build families abilities in prevention of drug use.